Union Products Nativity Blow Mold Set Christmas Decoration Multicolored Resin 2 pc. This Christmas, get into the spirit of the holidays by adding new interior holiday décor to your collection. Ace offers all the indoor Christmas decorations you need to transform your home into a winter wonderland this season, including items for custom window displays, classic figurines and modern Christmas signs. 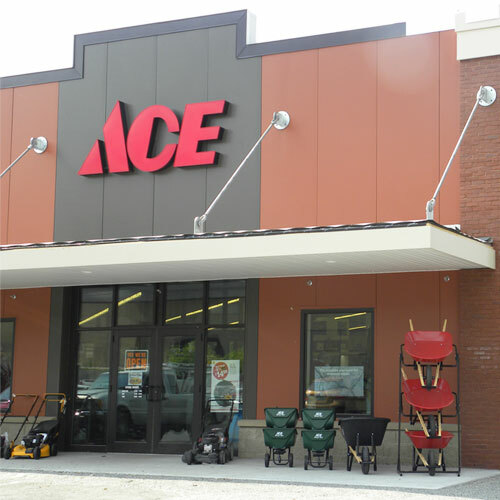 Shop Ace Hardware to find indoor Christmas decorations to fit your seasonal style and budget. Ace has a wide variety of festive Christmas décor to display directly in your windows to spread holiday cheer to guests, neighbors and passersby. Christmas Window Candle Lights: Our charming candle lights add illumination to your window scenes. Look for classic candlesticks with LED lights and Christmas lanterns to set up a traditional holiday display. Seasonal Sculptures: Whimsical holiday-themed figurines transform your windows into gorgeous Christmas displays. Shop Santa Claus sculptures, reindeer, dogs, cats and even entire miniature towns featuring Christmas-themed porcelain houses to create a winter wonderland in your home. Train Sets: Our collection of train sets look beautiful in large window spaces. Find stationary sets for a timeless look, or shop moving train sets to complete your Christmas scene in fully-functioning style. Helpful Hint: Use seasonal exterior lighting to help illuminate your holiday window decorations. Have guests and passersby will direct their eyes on the scenes you've worked hard to create. After you've created the perfect window displays, deck the halls with beautiful indoor Christmas decorations from Ace. We have everything you need to show off your holiday spirit, including contemporary and timeless décor pieces. Festive Figurines: Add these decorations to your coffee tables, counters and side tables to tie the whole room together. Look for nutcrackers, miniature Santas, LED candles and small holiday décor for these spaces. Tabletop Holiday Decor: Get into the holiday spirit with festive seasonal signs. Find an assortment of holiday phrases to match your decorating style. Then, look for other unique tabletop décor like poinsettias, small Christmas trees, snow globes and other adorable decorations to add to your entry tables or dining room table. Holiday Candles: Scatter Christmas candles around your existing décor to add a beautiful Christmas glow to your home. Shop snowflake candles, decorative lanterns and holiday votive candles and candleholders to find your favorites. Some even come in multi-packs to help you easily decorate large spaces or fill multiple rooms with matching Christmas cheer. Shop Ace to find all the interior Christmas decorations you need to deck the halls this season.